But then when Apple updates the iPad Pros, your car is outdated... how embarrassing. Just a bunch of stuff inside a pimped pickup truck. What is the point of all this needless excess? A vehicle was designed to transport it’s occupants from point A to B, now we need an office and entertainment to keep our minds occupied. Here is a thought, look outside and take a break from technology. The natural world* is passing one by. *I had to take a quick break from the natural world to convey this message through technology, now back to enjoying nature. So gross. Not sure what the lure of Escalades is. Maybe they are quite nice inside. But they are visually unappealing. Yo dawg, I’ll be playing Gran Turismo in my ride while I ride, so I can drive while I drive. What’s the difference between a hedgehog and a limousine? With a hedgehog, the pricks are on the outside. This joke came to mind after reading this article. Who doesn’t like a fully loaded pimpmobile? That joke has to be 30-40 years old and it was originally a Porsche vs. a porcupine. 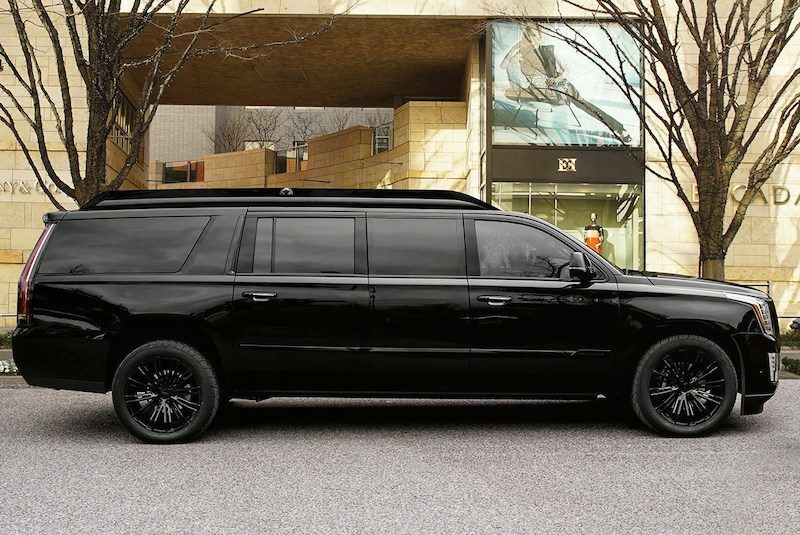 the 2019 Cadillac Escalade Viceroy Edition is built for the Hollywood elite, business executives, celebrities, and professional athletes. Pricing was not disclosed, but money is likely not much of an object to prospective buyers. Ha, you gotta be kidding, pimps and drug dealers you mean, I doubt any of the above wants to be seen in this monstrosity.